He walked onto the stage and for an uncomfortably long time said nothing as if he were about to have a senior moment or worse. Finally he uttered something about how he wished those of us in the audience could see what he did – a crowd of bright young faces filled with hope and curiosity. 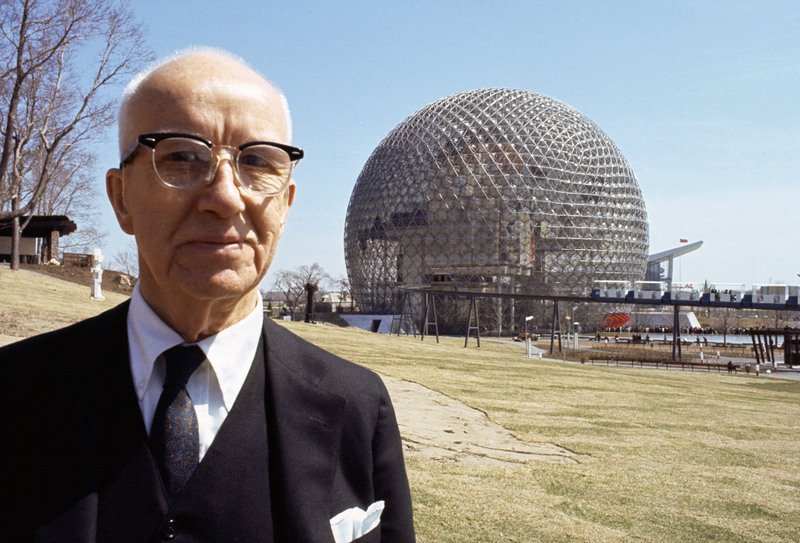 Buckminster Fuller was all about the future. On April 18, 1968, he laid out the details of his freshly minted Operating Manual for Spaceship Earth, the keynote address at a plenary session of the 21st Annual Conference on World Affairs at the University of Colorado. Not yet as famous as he would become, Fuller was already known as a 20th century Jules Verne, an eccentric engineer type with an unusually broad intellect. He seemed to think that conventional wisdom was puerile. For example, when we jump up, we are not really jumping UP since the earth is a sphere. We are actually jumping OUT. People jumping in China are headed in the opposite direction from those of us jumping up here, so jumping out would be a more accurate description. He also seemed disturbed that architects didn’t know how much their buildings weighed, as if this were some sort of architectural vital sign that needed to be monitored regularly. His lecture that evening was a lengthy string of quasi-related notions about how the world worked, enlivened by all kinds of unusual references like these. At the end of the talk, he knitted up everything he had said in a manner that left you pondering these odd ideas wondering if they should be better embedded in the way you viewed the world. Fuller put his principles into practice designing all kinds of clever things he believed were self-evident solutions to obvious problems. 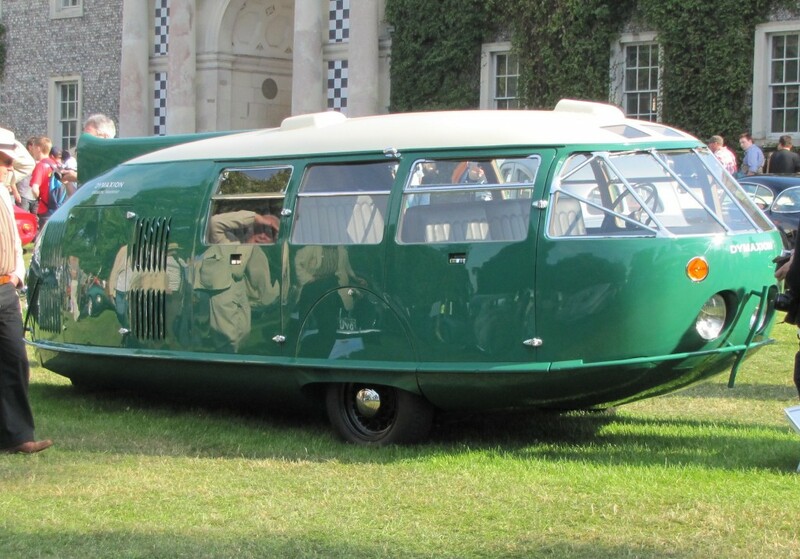 The Dymaxion car is but one example, a three-wheeled vehicle that could turn on a dime, aerodynamically sculpted so that with the addition of wings it might be able to fly. It didn’t quite catch on. 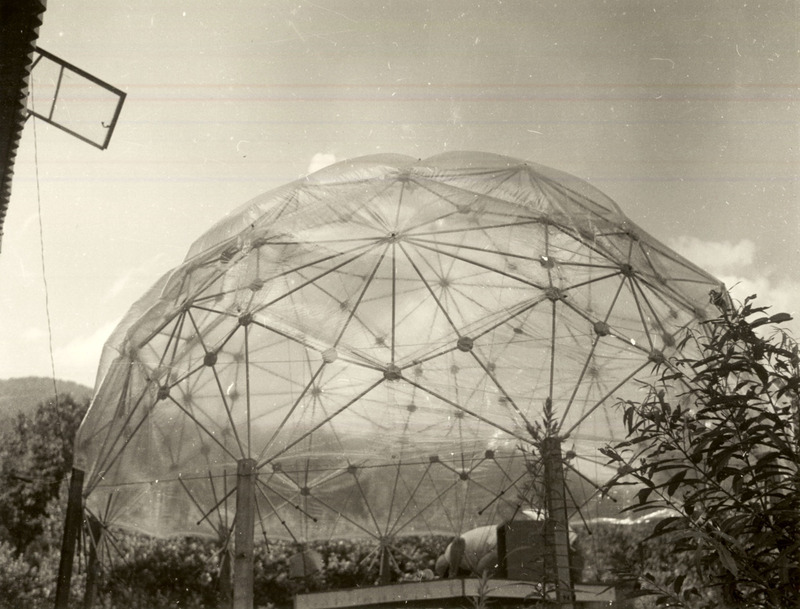 Same with the geodesic dome. The idea here was to enclose a space under a surface of minimal area. He worked out a geometric network that resulted in a half-sphere using rods all of which were the same length. Perhaps he should have gone on to design Dymaxion furniture, Dymaxion doors, and so on, because the geodesic dome only garnered interest from a few devoted followers. These designs were the product of sophisticated engineering to be sure, but science alone doesn’t automatically yield the ideal solution – these objects all looked kind of funny. A decade and a half later, Fuller spoke as Professor Emeritus at the University of Pennsylvania. This address was part of a lecture series under the auspices of the Graduate School of Fine Arts featuring famous architects on the theme of what inspired their work. His talk followed the usual meandering, but attention-riveting pattern, and not once did he mention what inspired his designs. It was about the future, of course. He was excited by the possibility that electronic communication could lead to a true democracy; everyone’s voice could be heard through this exploding medium of instantaneous exchanges of information. He was telling this crowd of architects that the future was all about something other than the static edifices they were creating. Maybe we didn’t quite hear the message because we gave him a standing ovation that night despite his hint that our profession was about to become less relevant, or at least less interesting. As it turns out, we still jump up, not out, and most buildings are just fine even though we don’t know exactly how much they weigh. Most of Fuller’s designs are now viewed as curiosities, but one idea he expressed that evening really did catch on. That night, he invented the Internet. What he failed to foresee, though, is that the designers of this virtual network call themselves architects.